Sen. John McCain has admitted that he regrets choosing former Alaska Gov. Sarah Palin as his Vice Presidential candidate pick during the 2008 presidential election. While he still stood by Palin’s performance, he reveals in his upcoming book, “The Restless Wave: Good Times, Just Causes, Great Fights, and other Appreciations,” that in hindsight, he wishes he had selected former Sen. Joseph Lieberman instead as his running mate. His campaign advisors apparently warned McCain repeatedly against choosing Lieberman, since Lieberman was for abortion rights and was once a Democrat. In their eyes, this could divide Republicans and hand then-candidate Barack Obama the election. 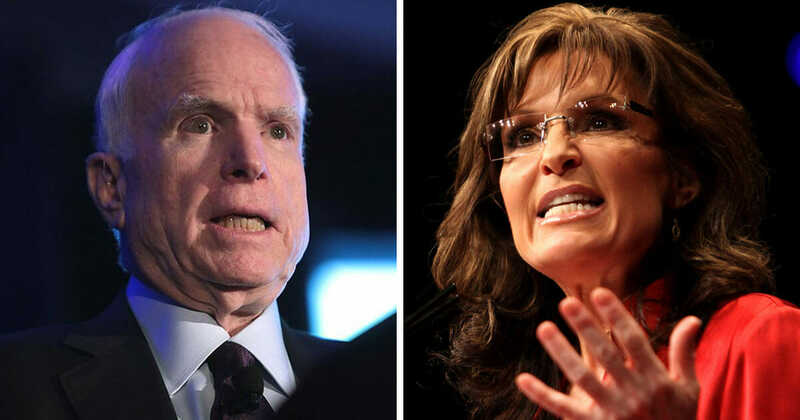 But would Lieberman’s stances have hurt McCain as much as Palin’s mouth? We’re not so sure. And that’s just a few. There have been countless more over the years. Either way, we’re glad McCain is finally coming around, at least in a few areas.